On any normal hot summer day, the first gush of water off a faucet or showerhead tends to be a little warmer than normal, even in the absence of a water heater. Then the colder water starts to pour out from deep inside the piping system. This is perfect for cooling down, especially after a particularly hot and humid summer day. I have written in a previous story that I have never developed a liking for hot baths. The preference for cold baths can be problematical during the early and latter parts of the year; but at the end of a hot day in April or May, it is just sheer heaven! Now, I am sure everyone knows what the municipality of Los Baños is famous for – apart from buko pie, that is. In the past, whenever we had playing engagements in UP, I would always instruct the school drivers to take, instead, the backdoor entry through the geothermal plant up in the hills. Since football games are often scheduled on weekends, it is never a good idea to go to Los Baños using the Calamba Road. 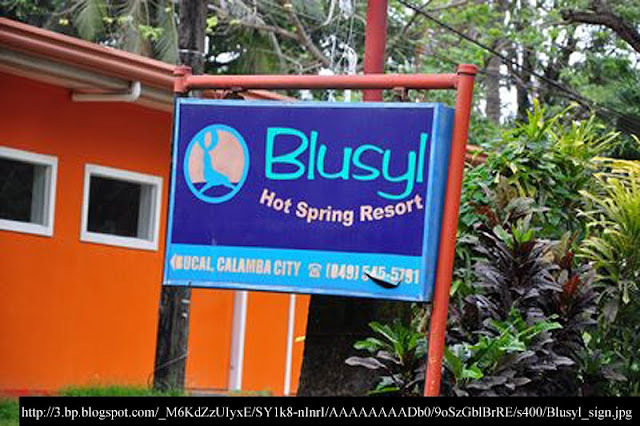 I mean, from Pansol all the way to Los Baños itself, everyone claims to have a resort or a private hot spring pool tucked away somewhere. Sometimes, the resorts are just beside the road, perfect for weekend walk-in pool-seekers. There are also those that are off-road; but these are just as easy to find courtesy of gentlemen who flash signs right in front of the windshield to entice you to try their resorts. 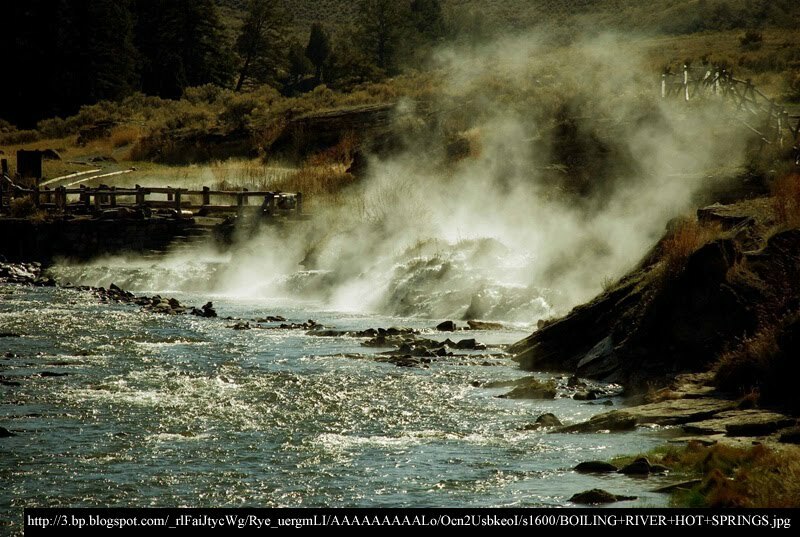 Strictly speaking, these pools are not really what could be called hot springs, unless the water is already scalding. The more appropriate term to use is really warm water springs. Whether hot or warm, the water is heated geothermally. To the likes of you and I, that simply means inside the crust of the earth, where temperature increases incrementally as depth likewise increases. Hot springs found in non-volcanic areas are due to underground water coming into contact with rocks heated by the sheer weight of the earth above them. In volcanic areas, the heating may occur when water comes into contact with molten rock, otherwise known as magma. It is worth noting that hot springs emanating from volcanic areas tend to be close to or are already at boiling point; and that people have been known to have been seriously burnt after coming into contact with their waters. Warm springs, meanwhile, are those which have hot underground water tempered by cold water before gushing out into the open. To those who do have not been there, Los Baños is at the foot of Mt. Makiling. From a distance, the mountain appears as though a lovely lady who has laid down to rest. The figure is deceptive; in fact, Makiling is a dormant volcano. One needs to look no further than Pinatubo in the north to assess how much of a threat it poses. The fact that Makiling is a volcano also explains the geothermal activity underground that has also meant a source of livelihood for many not only in Los Baños, but also in other communities nearby. As recently as the mid-nineties, we used to play in this Coca Cola-sponsored football competition called the Go-for-Goal. For this, we would travel to UP in Los Baños where they have, to this day, a fabulously-green football field. 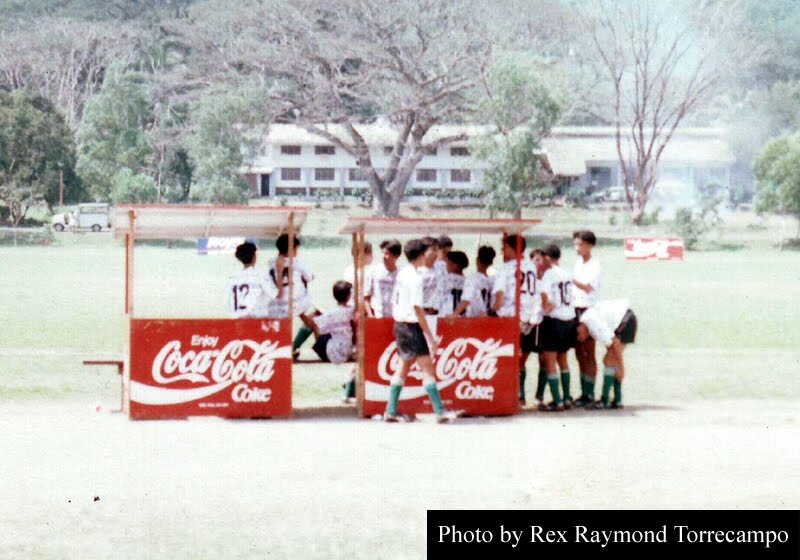 I think it was in 1994 when, having won the regional title, we had to play teams from Baguio and Palawan for the All-Luzon title and the right to play in the national finals. The tournament was held also at UP late in the sporting calendar; March or April if memory serves me right. We were billeted at the YMCA. Anyone who has been to UP knows that the university is at the foot of Mt. Makiling. This also means that winds, obstructed by the mountain, do not play as freely as they do in other places. Therefore, a hot summer day in Los Baños is an unbelievably hot summer day! The last thing you would want to be doing just after midday is to be engaged in a game of football. Yet, that was exactly when they scheduled us to play – at two in the afternoon. Two hours later, whatever the result, there was just one thing everybody wanted more than anything else in the world. A cold shower! I was not even playing; but, even seated at the bench under the sweltering sun, I already felt as though all fluids had evaporated from my body! I could imagine what it must have been like for my players, running all over the place as they had to.